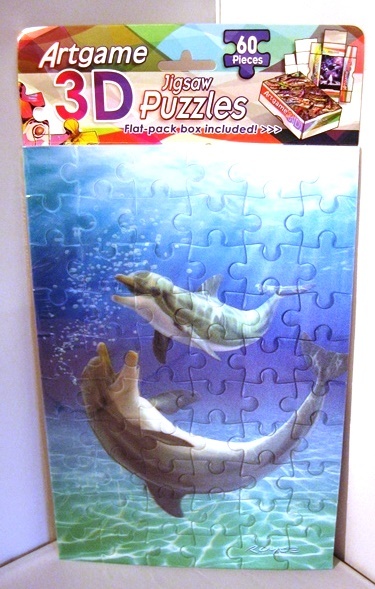 60 piece 3D jigsaw. 6 x 9 inches. Comes with flat-pack box to store the pieces in. Great 3D effect, lots of depth. Dolphins.